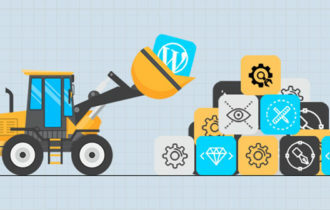 This post consists of a comprehensive collection of some of the best wordpress plugins which will help you enhance the functionality of your estate and rental property website. These plugins are mainly for the real estate sites based on the WordPress portal. 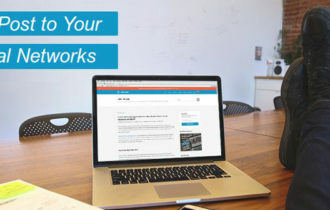 The WordPress directory consists of several free and easy-to-use plugins which will assist you in enhancing the functionality of your property website. Designed by Realtyna, which is one of the leading firms that solely focuses on providing efficient real estate solutions online. This plugin is backed up by a dedicated support theme which is can easily resolve any issue faced by the user. Moreover, this plugin also comes with plenty of documentation that can quickly solve any simple problem. You can easily add properties by using its ‘Add Listing’ wizard. You can add multiple listings for rooms, amenities, etc. that come with the property. Users can easily search property using the list of criteria’s such a city, locality, postal codes, etc. By default, the listing can also be shared through Facebook, Twitter or an email. This plugin let you to adds responsive IDX real estate search and MLS property listings to your WordPress website, with branded drip emails including sold, open and active listings. MarketBoost takes this a step further by adding local market reports to your website and drip emails. Make your real estate site and emails shine with beautiful design, stunning photos, informative reports and proven lead generation tools. An open-source plugin which designed to help users to integrate a fully-functional real estate listing system within any theme of your preference. WP Listing is a brainchild of Agent Evolution, a trusted web development firm which offers efficient solutions for real estate agents and brokers. Great Real Estate plugin was developed to enable real estate agents, brokers, and realtors to showcase and manage information about their listings in your WordPress sites. It allow allow you to display the property listings across the site. Authors do not need to format the content, they simply enter it into a form. A comprehensive real estate plugin which is designed to work with almost all the themes. This plugin also comes pre-loaded with several templates that will enable you to have a site up and ready to go in less than few minutes. Also, supports multiple currencies and locations which make this plugin perfect for sites that deal in international properties. Fully compatible with Google Maps and displays the accurate location of the property. Comes with free search widget which is available with customisable search fields. Hassle free installation and maintenance. It is newly launched plugin for the WP based real estate plugins, and it still has quite a low number of downloads and active installs. Aside from its free version, you can also opt for two premium versions Estatik Pro and Estatik Pro Plus which come with a price tag of $59 and $79 each. Although its new the market soon this plugin will carve a little niche for itself in the market. Allows you to customise all the fields within your listings. Comes pre-loaded with the several useful widgets like a map, advanced search, slideshows, etc. An another newbie in the WP based real estate plugins. Launched a few months ago, but it already has a thorough documentation in the place and comes pre-loaded with plenty of features that gives this plugin a competitive edge over several well-established plugins. Besides the regular features that most of the plugins offers, the team behind this plugin also provides an iOS app called Realia Browser. This app allows companies or agents to launch their branded apps without doing any coding. Features integrated Google Maps for the pinpointing the exact location of the property. Enables you to charge users for certain services. These above mentioned plugins will surely enhance the functionality of your WP based real estate portal and will make it more user-friendly and easy-to-navigate. I am Sophia, my forte is WordPress and my work exists at the intersection of web development and technology blogging. Sophia is professionally associated with WordPress theme customization company that has been taking huge strides in the web domain from quite a while now. Good list. The above are all targeted at the US or AUS property markets. If you want a platform for the UK market I recommend taking a look at Property Hive. @Amie Yes, Property Hive is another great plugin. Thanks for sharing with us.